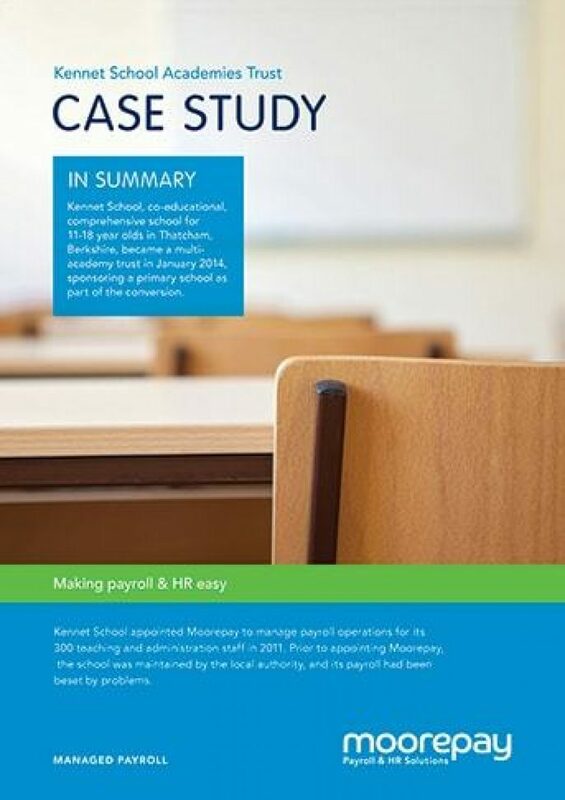 Kennet School trust Moorepay to take care of the whole payroll operation, ensuring all employees are paid the correct amount, on time, every time. Prior to appointing Moorepay, the Kennet School was maintained by the local authority, and its payroll had been beset by problems. As well as taking care of the whole payroll operation, including data capture, processing, printing, distribution and reporting, Moorepay’s skilled and experienced payroll professionals ensure that all changes in legislation, sickness and absence benefits and overtime entitlements are implemented and calculated effectively. Of course, all employees are paid the correct amount, on time, every time.